Magazine holder stores and displays your magazines. The coated finish helps withstand daily use. 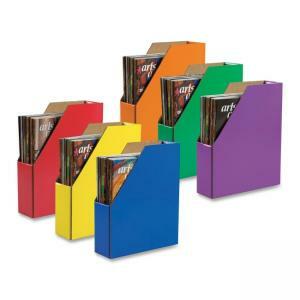 Each holder is made of durable, corrugated cardboard.